Super Falcons to face life ban... but why? 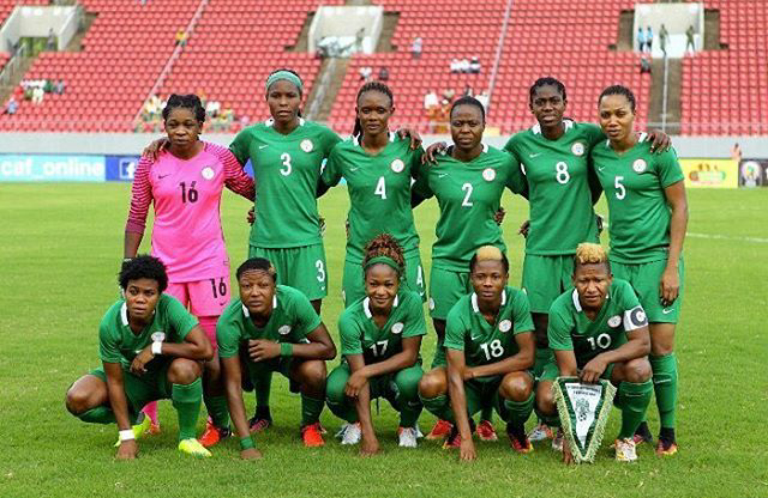 Authorities plan to ban several Super Falcons stars and some of the coaches could lose their jobs as fallout from the standoff over unpaid entitlements..., according to The Nation. Falcons striker Francisca Ordega will among the stars to be axed after she said she regrets playing for the country. The USA-based star was later blasted by NFF president Amaju Pinnick for her comments. “I can categorically state here that the name Ordega will never be heard or seen in a Super Falcons team list again. This I was told by another top official of the football house,” a source informed. No less than 10 of these players could be banned for life for ridiculing their fatherland before the international media and henceforth, the NFF may draw up a code of conduct to guide against future occurrences. Nigerian sports minister Solomon Dalung visited the team Thursday and pleaded with them for understanding before their outstanding allowances and bonuses. But the girls have dug in, insisting they will only quit their hotel when they get their monies.